Sarah Coit is a native of Spring Hill, FL. Her repertoire includes such roles as Nancy in Albert Herring, Rosina in The Barber of Seville, Sister Helen Prejean in Dead Man Walking, the title role in Giulio Cesare, and the Waitress in the World Premiere of Michael Ching’s Speed Dating Tonight. She spent the summer of 2015 as a Gerdine Young Artist with Opera Theatre of St. Louis where she covered Richard in the American Premiere of Handel’s Richard the Lionheart. In the summer of 2016, she was an Apprentice Singer at the Santa Fe Opera where she covered Erika in Barber’s Vanessa. 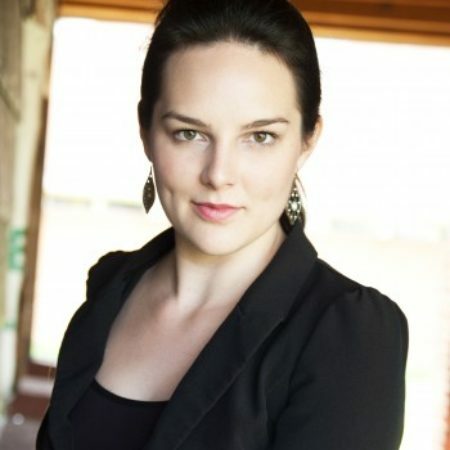 She returned to the Santa Fe Opera in 2017 as an Apprentice Singer to sing Alisa in Lucia di Lammermoor and cover the role of Laurene Powell Jobs in the World Premiere of Mason Bates’ The (R)evolution of Steve Jobs. She was a 2017 National Semi-Finalist in the Metropolitan Opera National Council Auditions and got a chance to compete on the Met stage. She spent two years as a Resident Artist at Utah Opera where she sang the roles of Shepherd/Cat/Squirrel in L’enfant et let sortileges with Utah Symphony, Mercédès in Carmen, and Zerlina in Don Giovanni. She recently made her professional debut as Cherubino in Le nozze di Figaro with Michigan Opera Theatre. In April of 2018, she will sing the role of Addison Moore in a workshop performance of John de los Santos and Clint Borzoni’s The Copper Queen at Opera America in NYC for Arizona Opera. She will make her Seattle Opera debut in 2019 as Mercédès in Carmen. Sarah holds degrees in Music Studies and Theatre Performance from the University of South Florida and a Masters degree from the University of Michigan.